Several decades ago, when they were young, 230 men and one woman were convicted of terrible crimes—murders, rapes, robberies. They thought they were going to die in prison. They were supposed to. But then, just a few years back, Merle Unger Jr., one of the most notorious escape artists of our time, discovered an ingenious (and legal) way to get them out. It was an unimagined second chance for them—and a nerve-wracking experiment for everyone else. He was a 72-year-old man with a messed-up back and he knew he shouldn’t be lifting this stuff, but he was here to help a friend move, and so were some other old guys who had their own issues with bad knees and arthritic joints, so Hercules Williams Jr. plucked a small wooden end table from the back of a U-Haul truck and carried it down the sidewalk, slowly. 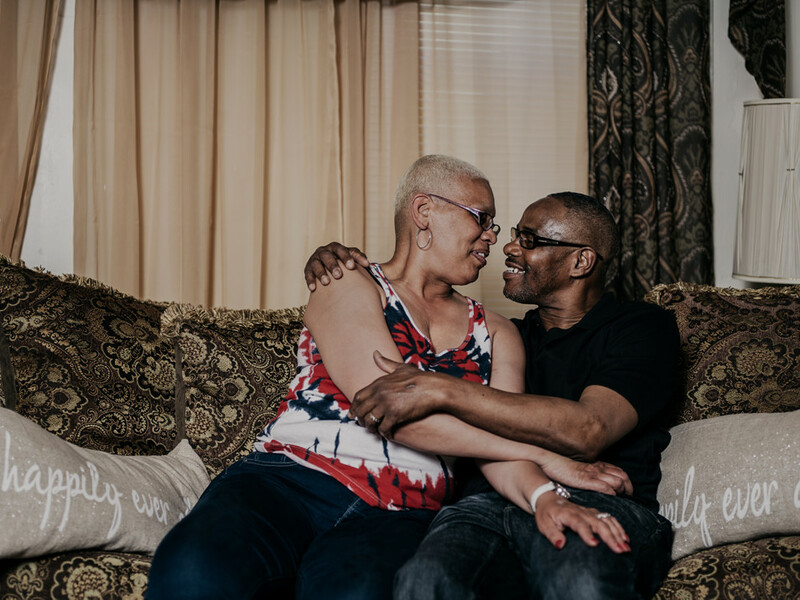 Donald Shakir, the beneficiary of all this labor, saw that Williams was having trouble and grabbed the table from his hands, pulling it up the steps and into the living room. Shakir is a muscular 63-year-old with thick black glasses and a bright-orange beard. He’s legally blind and can’t see at all out of his left eye, even with the glasses. He also suffers from arthritis in his knees, but if the pain was bothering him that afternoon, he didn’t let on. He had been leading the operation, telling the guys where to put a chair or a couch, insisting on lifting the heavier objects, pausing every so often to look around at his new neighborhood. He didn’t want to call attention to himself, but this was a big day for him, a setting down of roots after a period of upheaval and wandering. Three years earlier, he had met a woman named Nzinga Amon and fell in love. They moved in together. At first, they slept on a couch in Shakir’s sister’s basement; they had to spoon each other to keep from falling off. “Hoooooo,” Amon says now. “It was hilarious. But what do they say: love is blind?” After that, they moved to a cramped one-bedroom apartment. This new place, though—a house instead of an apartment, with a Formstone facade, on a quiet block in southwest Baltimore? “It means stability,” Amon told me. After the men unpacked the first load of boxes and furniture, they drove the empty U-Haul back to the old place to load up again, passing fans and flower pots through an open first-floor window. Inside, a TV was tuned to the Orioles’ first game of the season. Every so often these guys let slip a phrase that reveals how long they spent in prison. Forty-one years and four months for Williams. Nearly 44 years for Owens; 41 and change for Shakir. They were all convicted of murder in the early 1970s. Shakir was 19 when he shot and killed a 77-year-old confectioner during a stickup. He wanted money to buy drugs. Owens had just turned 20 when he gunned down a dry cleaner, also during a robbery to fuel a drug habit. The circumstances around Williams’ conviction are murkier. He maintained his innocence and had a strong alibi, but his alleged accomplice testified against him in exchange for immunity, sticking him with the same sentence Shakir and Owens got: life in prison. Back then, lifers who demonstrated good behavior and personal growth could get paroled after 20 or 25 years. But in the following decades, the state’s prison system became more punitive. Maryland is one of three states where the governor can overturn the parole board’s decision to release a prisoner. In 1995, after a lifer named Rodney Stokes committed a brutal murder while on work release, Governor Parris Glendening, a Democrat, said the parole board shouldn’t bother sending him any more applications from lifers, because “life means life.” Every governor since has followed his lead. So by the time Williams and Shakir and Owens had put in their 25 years, it didn’t matter what they had done with their time. They weren’t getting out. They were going to die in prison, with their loved ones far away. But then a fellow inmate named Merle Unger Jr. discovered an unexpected kind of door. Merle Unger escaped from jail for the first time in 1967, when he was an 18-year-old dropout with an interest in petty crime. People in his native Greencastle, Pennsylvania, saw him as a harmless character—a scrawny kid who figured out how to tie his bedsheets together and climb out of the nearby jail at night so he could see his girlfriend and play bingo at the Catholic church before climbing back into his cell in time for roll call. He did this until a sheriff’s deputy went to play bingo, saw Unger sitting there and was like, wait a minute. 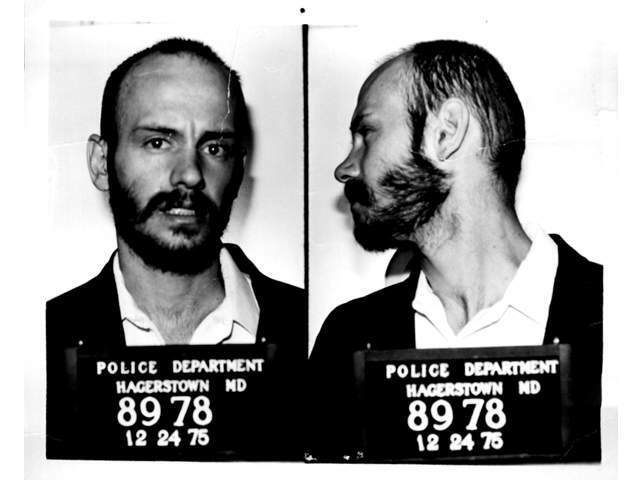 On the run, Unger made it to Hagerstown, Maryland, where he robbed a grocery store at gunpoint. An off-duty cop, Donald Kline, happened to be shopping at the time and shouted, “Halt, police officer!” When Unger ran, Kline chased him into an alley. Unger opened fire. Kline was hit three times and died in the hospital. He fled to Florida and got caught in Orlando. Brought to Talbot County, Maryland, in 1976 to stand trial for the Kline murder, he was convicted and sentenced to life plus 40 years. But Unger had a strong preference for staying in Florida, a preference he expressed in 1981 by escaping a maximum-security prison in Maryland at the wheel of a hijacked dump truck. The FBI led a national manhunt after that episode. He was captured a month later while breaking into a gun store in Clearwater, Florida, and convicted of armed burglary, beginning a tug-of-war between Florida and Maryland for the right to incarcerate him. 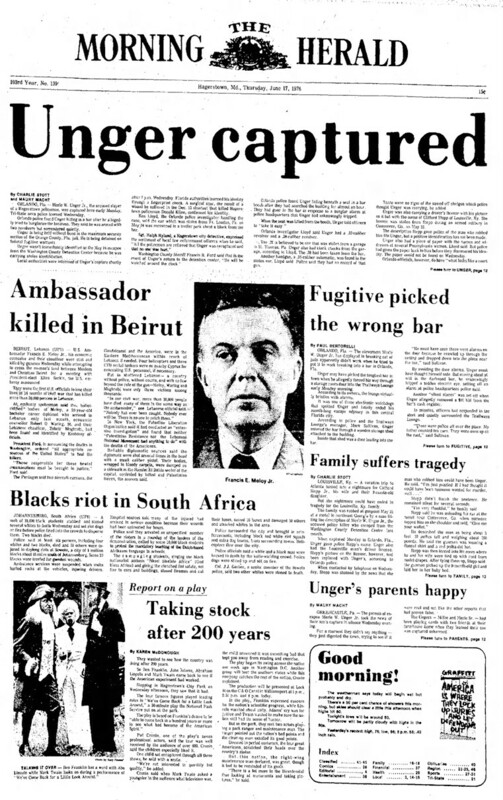 A Maryland paper splashes the news of Unger's capture six months after he killed Donald Kline. In Unger’s telling, this is the moment he developed an obsessive interest in the American legal system. Another friend worked in the prison’s law library and told him about a case in which a federal inmate earned his freedom by challenging the constitutionality of the jury instructions in his trial. Unger spent hours studying the case. It was all he could talk about. And the more he read, the more he thought he might have a shot at winning a new trial on the murder charge if he came back to Maryland to fight it. For decades, the state’s higher courts blocked attempts by convicts to obtain new trials; reopening all those cases would have thrown the system into chaos. But by the time Unger returned to Maryland to file his petition, the makeup of the state’s Court of Appeals had changed, and in 2012, the court ruled that Unger’s constitutional rights had been violated. He was entitled to a new trial. And by the logic of the decision, so were the 230 other living prisoners—mostly first-degree murderers, and some rapists—convicted before Maryland changed its jury instructions. Unger v. State doesn’t say that these prisoners should be freed, only that they can ask to be retried. In practice, though, there’s a strong incentive to settle cases where the defendant has a clean prison record. Re-trying a case that’s 30 or 40 years old can be tricky: the witnesses have moved away, the detectives are dead and the case file is skeletal, or missing, or destroyed. Since the decision came down, 142 of 231 prisoners have negotiated their freedom, almost all of them getting probation. One was acquitted at a new trial. Another eight have died behind bars before they could get a hearing. There are still about 70 prisoners with open cases, which means that even more may yet go free. For the first time in a generation, American politicians actually agree that we put too many people in prison and that this is a bad thing. (The United States has the highest incarceration rate in the world, with 716 people per 100,000 behind bars; the comparable rate is 475 in Russia and 121 in China.) And yet the most commonly proposed solutions tend to focus on nonviolent federal drug offenders: relaxing sentences, rescheduling drugs, diverting addicts into treatment programs. These steps barely address the larger problem. The vast majority of U.S. prisoners are in state prisons, not federal, and the majority of those have been convicted of violent crimes (54 percent) as opposed to drug crimes (16 percent). To reduce the American prison population in a meaningful way, states will have to liberalize sentences and parole for some violent offenders—a terrifying prospect for politicians. In Maryland, though, the politically impossible has been happening for three years now. Unger v. State is essentially a natural experiment in the controlled release of violent offenders. And because the experiment is so new, nobody knows how it will end up—not the lawyers, the judges, the social workers, the families of the ex-offenders, the families of the victims, the citizens of Maryland or the former prisoners themselves. Thanks to a legal lightning strike, almost 150 people who were supposed to disappear in prison are now living on the outside. Are they ready? Are we? Nzinga Amon (left) has been trying to help Donald Shakir fit back into the world. “It just sort of developed,” Nzinga Amon told me of her relationship with Donald Shakir. 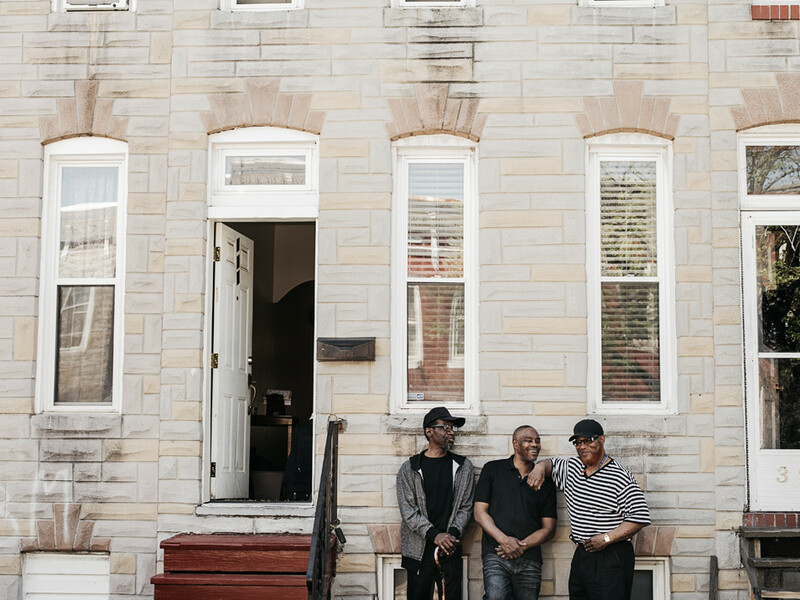 We were sitting on a stoop across from their old place in West Baltimore, watching Shakir and the other guys lug desks and drawers into the U-Haul. She said she met her husband by chance in 2013—just two people waiting for a bus. She wasn’t looking for a relationship at the time. She had a job as a reading tutor at an elementary school and was enjoying her independence. It wasn’t until they moved in together that Amon realized how hard it is for lifers to re-enter the world. These are not unskilled people; in prison they learned masonry and welding and other trades, and the ones approved for work release regularly earned promotions and even managed crews. But the only job Shakir could land at first was as a minimum-wage dishwasher at Pizza Hut. He felt as though his manager was constantly testing him, giving him all the crappy assignments, like cleaning the drains, to see if he could take it. He ultimately quit because his arthritis made it too painful to spend hours on his feet. At home he seemed scared a lot of the time. He was afraid of the night. The kids on the street and the way they dressed and talked, the vacant blocks where people used to live when he was young—he didn’t feel safe. “I’ve never seen so many drug users in my life,” he told me. “I’ll never get over seeing so many empty houses.” When Amon has meetings after dark, Shakir calls repeatedly to make sure she’s O.K. One time he waited for her on the stoop of their place, in his pajamas. Larry Owens taught himself to paint portraits while incarcerated and got so good at it that he became a mentor for a bunch of other guys in there and now teaches a community art class. The men seem to share a bond that’s reflected in language. Often they refer to themselves as part of “the Unger family,” or sometimes just as “Ungers.” More than one of them told me, “I’m an Unger.” They realize they’re a part of something bigger than themselves. And they are. Digging them out of prison took an unprecedented effort by the Maryland Office of the Public Defender, which worked with professors and students at the University of Maryland law school to help prisoners file petitions to reopen their cases. Early on, the attorneys also realized there needed to be a major social-work component: if the Ungers didn’t have help adjusting to life on the outside, they were more likely to fail. So teams were mobilized to snag the Ungers in a safety net. These social workers still travel across the state to prepare prisoners for re-entry. They are there on the day of release to hand the client a personal hygiene kit, a binder of information on government programs, and a $20 bus pass. And in the weeks and months after release, they help Ungers with challenges large and small, everything from obtaining health care and I.D. cards to finding independent living situations. "Mmm-hmm. Mmm-hmmm": Kareem Hasan with his wife Annette at their home. Maybe the most important strands of the safety net are the two monthly meetings in Baltimore where the men gather as a group—25 to 40 people saying hello, snacking on carrot sticks and pretzels. These aren’t fancy events, but they give the guys a place to see their friends and get help if they need it. The social workers set up a presentation or two: a pitch by a nonprofit leader looking to train black men in computer programming, a class on nutrition and health benefits delivered as a “Jeopardy!”-style game show. (“Let’s try Social Security for $1,000.”) Often a man named Walter Lomax speaks about justice reform. 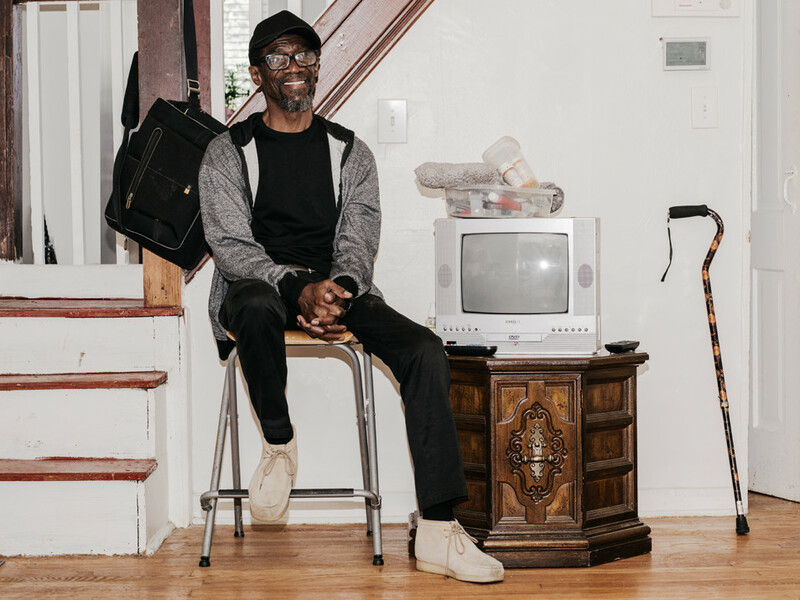 Lomax spent 39 years in prison on a wrongful conviction, and since winning his freedom in 2006, he has been organizing on behalf of older prisoners. Another elder who speaks is a lanky Baltimorean named Karriem Saleem El-Amin, who did 42 years on a murder conviction. El-Amin told me he tries to get people to share their struggles by poking fun at his own. One time, he went to use a public toilet and couldn’t find the flush lever; he started to panic, until the toilet sensed movement and flushed itself. He didn’t know toilets could do that. “Don’t nobody tell you these little delicate things that have changed,” he explained. There is only one woman in the Unger family. Her name is Etta Myers. She went to a few of the meetings, but people kept mistaking her for someone’s spouse, so she stopped. Myers is attractive, with short yellow hair. She smokes cigarettes and sips tea from a mug that says “Woman of God.”As tough as some of the men have had it, she has probably had it worse. The state locked her up in 1977, when she was 22 and struggling with a heroin addiction. Police said that Myers and her ex-boyfriend shot and killed a man during a robbery. The only evidence linking her to the scene was the testimony of three men who thought they saw her walk away and who admitted to being on drugs that day. She swore she was never there. The jury found her guilty of first-degree murder. Myers spent 36 years in a women’s prison. Over the decades she became a leader there, the co-founder of a therapy group and a manager in the sewing shop, a multimillion-dollar business that made flags and uniforms. The Maryland Parole Commission tried to release her twice, but governors blocked the commission both times. When she finally got out in 2013, she was given a bed in a Catholic halfway house for women. She now rents a small place in North Baltimore, which she shares with a white and orange cat named Ya-Ya. The last decades of her incarceration were marked by a spreading loneliness, her loved ones dying one after the other—her mother, her brother. “I was like, there’s nothing else, there’s nothing else for me.” And then she came home and realized that for the first time in her life, she was finally in a position to have a healthy relationship. Before prison, her boyfriend beat her. 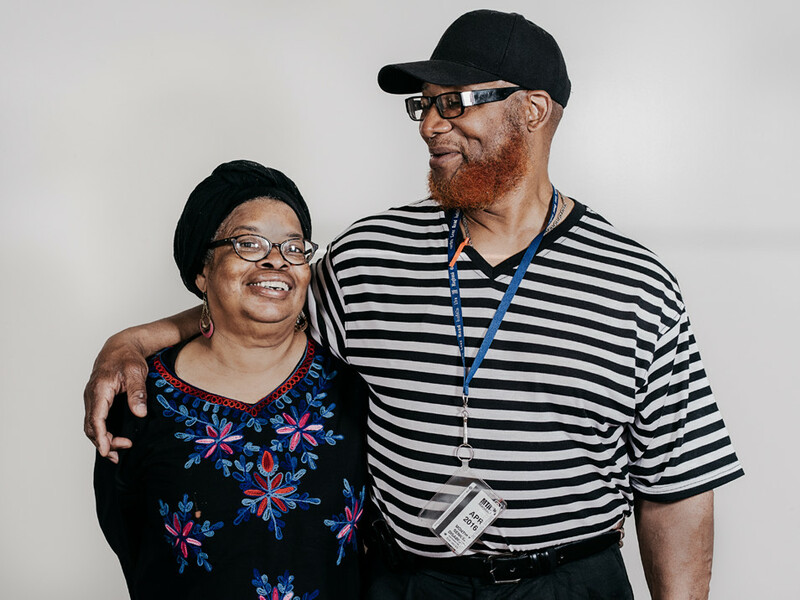 After they were convicted, she didn’t see him again until the day they were both released—36 years later. He used to be a specimen, a beautiful, muscular man, but he rolled into court in a wheelchair. Later she saw him at an event and reached down to hug him. She didn’t want to waste her time being angry. Forty-five years ago, Thomas Magrogan was shot in the heart by one of the Ungers. In April I went to see Kevin Magrogan, whose only sibling, Thomas Magrogan, was shot in the heart 45 years ago by a teenage drug addict named Bryant Lee Goodman. Magrogan now lives in the farm country west of Baltimore, where he works as a tax preparer. 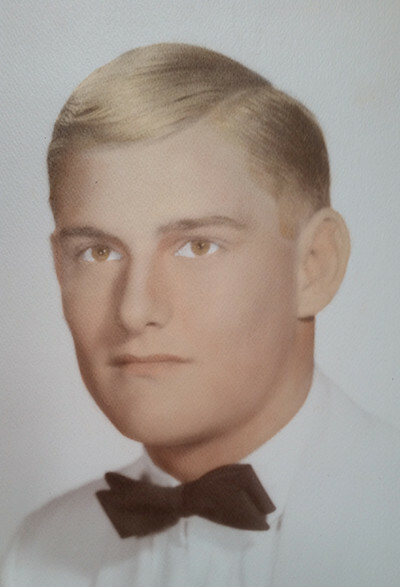 Sitting behind a desk piled with returns, he told me that his brother’s murder made him “the new head of the household, because my father just never recovered.” His father was a fleet superintendent for a linen company in Baltimore. Before the murder, he worked 12 or 14 hours a day, but afterward, he could only muster 4 or 5 hours, and Kevin had to help out after school to make sure the linen trucks got in at night. His father stopped going out in public because people were always talking to him about Tom. He stopped going to Irish dances with Kevin’s mother. “He would just come home and sit,” Magrogan said. Generally, the defense attorneys and social workers trying to ease the Ungers’ transition into post-prison life don’t dispute the damage their clients have done. “You can’t ignore the tragedy of homicide,” says UMD’s Michael Millemann. “You can’t escape from that.” But when he receives an anonymous voicemail that says, “I hope one of these guys kills you,” or when an Internet commenter assumes he must be a Communist, he thinks people aren’t getting the full picture. Millemann has been working with prisoners since the late ’60s. A judge once called him “the LeBron James of lawyering for poor people.” In 2013, he put together a team of law students and social workers to analyze the earliest Unger cases, and pretty soon, a familiar pattern emerged: poor black defendants convicted by all-white juries after paltry or nonexistent police investigations. A large number of the petitioners weren’t murderers the way most people think of them. In Maryland, you don’t have to pull the trigger to be charged with felony murder; the non-shooter in a fatal robbery is just as guilty of murder as the shooter. That was the situation with a significant number of the Ungers, including Karriem Saleem El-Amin. They were drunk and armed at 16 or 17 or 18 and robbed someone with a group of friends. They didn’t shoot, but they got life. Meanwhile, in some cases, the actual gunmen cut deals with the state and went free after a few decades—so why was the non-shooter still in prison, still bearing the burden of society’s judgment? Of the 143 Ungers who have been released, not a single one has been convicted of anything more serious than a minor traffic offense. It seems counterintuitive, but murderers can be good bets for parole. A study by the Stanford Criminal Justice Center found that between 1995 and 2010, 48.7 percent of all paroled prisoners in California went on to commit new crimes. But among murderers, the rate was a tiny 0.58 percent, “and none of them recidivated for life-term crimes.” Data from New York shows similarly low recidivism rates for paroled murderers. For all these reasons, the people fighting for the prisoners feel they’re doing the right thing. So far, the results have justified their faith. According to the Office of the Public Defender, of the 143 Ungers who have been released, not a single one has been convicted of anything more serious than a traffic offense. There has only been one probation violation, a technical infraction that resulted in a stern talking-to. Zero of the Ungers have violated parole. Zero have been sent back to prison. These numbers didn’t surprise me. After meeting a range of Ungers, and seeing them interact with their families and each other, and talking to them about the horrific things they saw in prison—guys losing it in weak moments and slashing their wrists with razor blades, hanging themselves in their cells, keeling over from sudden aneurysms—it seemed obvious that the last thing anyone wanted to do was go back. Although they didn’t perform their remorse for me, sometimes falling back on cliché (Shakir: “Don’t nobody have a right to take a life, period”), they also didn’t evade questions about their original crimes and the people they used to be. They caused pain to other families and to their own, and now that they can sit on their balconies or go to an Orioles game or eat a meal with their wives, they would rather not blow it up, for themselves and for their friends who are still in prison, the 70 Ungers with pending cases. "It means stability": Donald Shakir (right) outside his new home with Owens and Hasan. The prisoners wore blue Department of Corrections jumpsuits and were handcuffed with their arms in front, chains circling their waists. Antonio Gioia stood at the prosecutor’s table and read their names one by one: Tyrone Toliver, Leroy Brunson, Carl Marine. They looked solemn, standing absolutely still, staring forward or at the ground. Eventually, each was asked some questions to ensure that he was competent to sign the deal. Was he currently under the influence of drugs or alcohol? Did he understand that he was forfeiting his right to a new trial under Unger v. State, along with all innocence claims, in exchange for a suspended sentence and probation? No victims’ representatives were part of the proceedings; Gioia told the judge that in two of the cases, no surviving family members of the victim could be located, and in the third, the family member did not respond to a letter. After Marine signed his deal, Gioia said, “Your honor, that does conclude our business with the court,” and the men were led downstairs to a holding cell while some final paperwork was processed. The whole thing took 31 minutes. After two hours and many coffees, people got restless and went outside to stand on the sidewalk. The air grew colder. Hasan had to leave for a family function. Shakir started singing a Motown song to himself. It was fully dark outside when two of the three Unger men appeared across the street in civilian clothes—Brunson and Marine. Brunson’s people were more subdued. They waited to the side as he spoke to three female social workers from UMD, who gave him their usual release packet—the binder, the hygiene kit, the bus pass and their business cards. Then the UMD team and the family of the third client, Toliver, went over to the courthouse door to ask a guard why he was being kept inside. The guard said that one of the clerks had gone home for the day before completing Toliver’s paperwork. He would have to spend one more night behind bars. The guard said he was sorry. While all this was happening, Owens and Shakir hung back, not wanting to get in the way. When it seemed as if Brunson was getting ready to leave, Shakir went over to embrace him. “Hey brother, we gotta hook up,” Owens said. He and Shakir gave Brunson their numbers and made sure he knew he could call if he wanted to talk. Brunson nodded and thanked them. Over at the courthouse door, a set of metal gates spread open, and Toliver, still in chains, walked the couple of yards to the last blue van. It drove away, and Owens and Shakir walked off together, into the city. Jason is a contributing writer for Highline. His work has also appeared in The New York Times, GQ, New York and Wired. He is currently working on a book, The Cryptologists, about U.S. women codebreakers in the world wars. Benjamin is a freelance photographer based in Denver, Colorado.